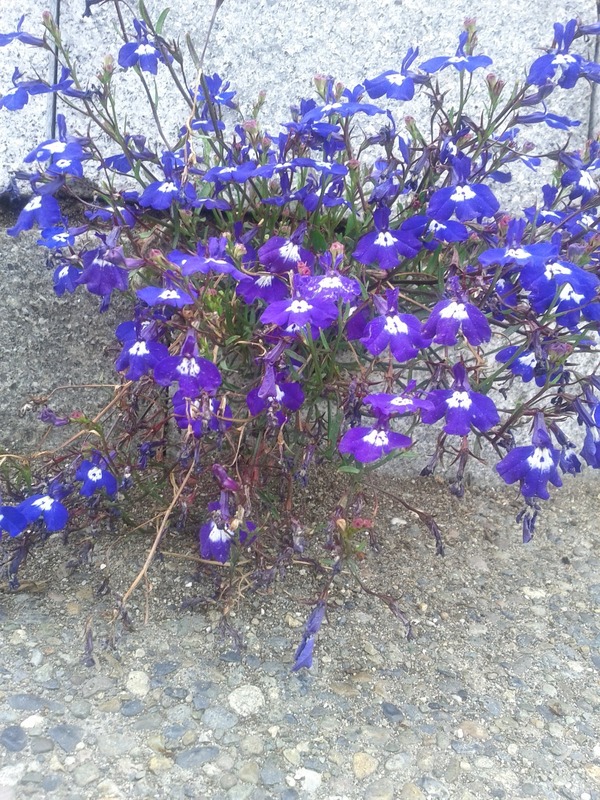 Rugged little flowers pushing their way through the grey. I snapped this one at a community garden in Seattle. Just as warm days peek between the blasts of chilly winter air, the energies of Entschanning have been making themselves known in my life. Entschanning means “the emergence”, and it’s a 12 day observation that begins with Grundsaudaag on February 2. This Entschanning, I’ve felt a surge of ideas, creativity, and hope, and taken to working on a flurry of new projects. One of my major goals for this year is to transform my relationship with the foods I eat to bring myself into line with the Sacred Duty, Zusaagpflicht. This has begun with simply acknowledging the animals and plants that go into my meals in a more direct way, praying to their spirits as I cook to thank them for their sacrifices. Almost as soon as I began doing this, I discovered some possible solutions to food-related health problems that have been plaguing me for most of my life with no resolution. It turns out I may have some inherited food sensitivities that I was completely unaware of. I’ve always known that I was allergic to the tobacco plant, but what I didn’t know is that tobacco belongs to a family of plants called the nightshades, which includes many commonly eaten vegetables such as potatoes, tomatoes, and bell peppers–all foods that I eat regularly. Many of my family members have various food intolerances themselves, so it’s really not surprising that I might too. So, in a partnership of spiritual and physical work, I am going to be undertaking an elimination diet to pinpoint my specific sensitivities, while working spiritually with the animals and plants that provide my “challenge foods” to better understand my relationships with them. This is just like the concept of studying the predator and prey animals of a spirit animal ally to better understand the world in which it lives and your relationship with it. I do feel that for this health information to finally come to me right when I start trying to make my relationship right with what I’m eating is no coincidence. 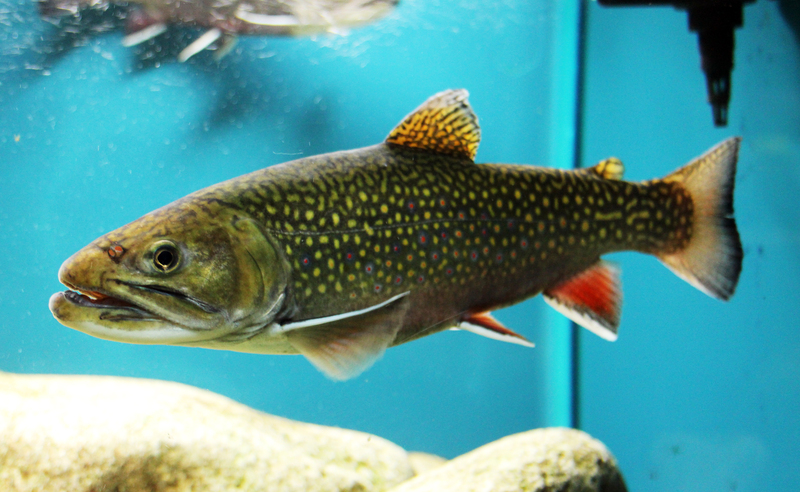 A brook trout in an aquarium, courtesy Wikipedia Commons. my fishing license this year and fishing again for the first time since I was a child. I don’t really remember how, so I’ll be learning from scratch, but I think that can be a good thing. It will open my mind to learning from the fish and the environment, since my main goal here is to deepen my knowledge of these spirits and my relationship with them. If you’re wondering how fishing or hunting might be spiritual pursuits, check out “Ecoshamanism” by James Endredy. He discusses a year-long pursuit of whitetail deer, an animal common for many of us in North America, that involves learning from the deer, honoring them, and giving appropriate offerings. Although he’s not presenting his material within any specific cultural context, a lot of these ideas translate well to the Zusaagpflicht. Holle has been inspiring my hands, as I am creating plushies for a non-profit fundraiser, and knotting threads for an embroidered religious piece I’ve been wanting to make for a long time. Wudan has been breathing life into my words as I write new articles, new projects that have fallen into my lap for several freelance clients, and a fiction series that I’ve been tossing around. I’ve also been seriously contemplating starting a new blog, in addition to this one and the others that I’ve got going, to discuss my spirit work and magical pursuits that aren’t directly Deitsch or Urglaawe-related. Mostly I am pretty sure I want to pursue it, but I’m concerned about opening myself up to criticism and bullying from people who don’t approve. I don’t want that to negatively impact my personal practice. But I am interested in sharing it with others, and maybe even finding more like-minded people. In the natural world, I’ve noticed just the first hints of green starting to make themselves known. We’ve been treated to a few thunderstorms as rain has replaced snow and ice. I absolutely rejoiced the first day that I noticed it was nearly 6:00pm and it was still light out! (The darkness of Winter always hits me hard.) Spring is definitely on its way. Everyone can feel the energy. This is Entschanning.